Great news. 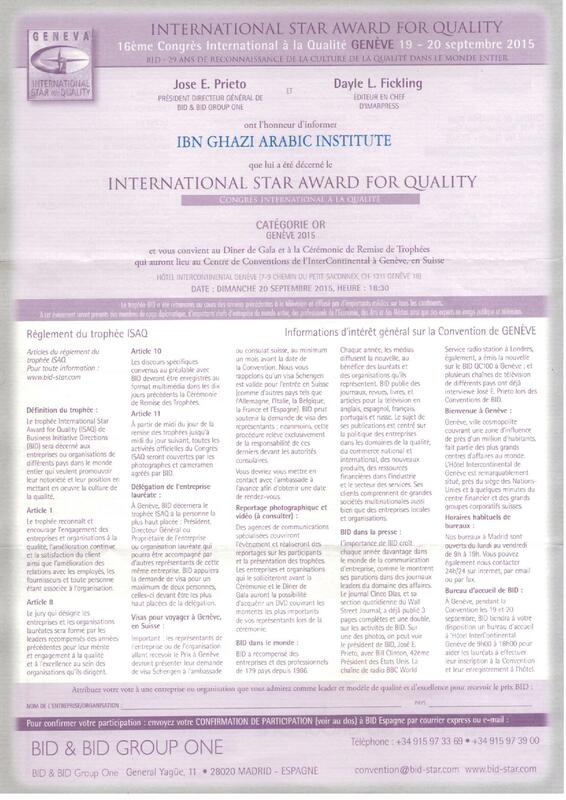 Ibn Ghazi Arabic Institute got the International Star Award for Quality The Award ceremony is going to take place in Geneva in September 19-20, 2015. 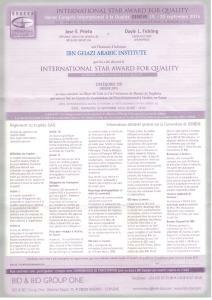 Such an honor for Ibn Ghazi Arabic Institute to receive such a prestigious award.